Gluten free dark chocolate brownie with orange, almonds and coffee. Like it’s sister brownie, the Milk Chocolate Brownie, the Heathcliff Brownie is made from ground almonds and molten chocolate. It's made with a blend of two dark chocolates; one is 54% cocoa solids and the other is 70%. The chocolate content is 40% of the overall ingredients. We use a cold pressed orange oil and orange zest. This gorgeous brownie is gorgeous served either warmed through - simply pop it in the oven after you’ve cooked supper - but it's equally as lovely straight from the fridge, cut into slivers and served with coffee. Why not try these other serving ideas for Hot Chocolate and Chai Brownies and delicious Heathcliff Brownie Cheesecake. "Your Heathcliff Brownie has now become a regular (possibly too regular) treat," E.C. "Lovely products and amazing service, would definitely recommend the Heathcliff Brownies, lovely :-)," L.W. 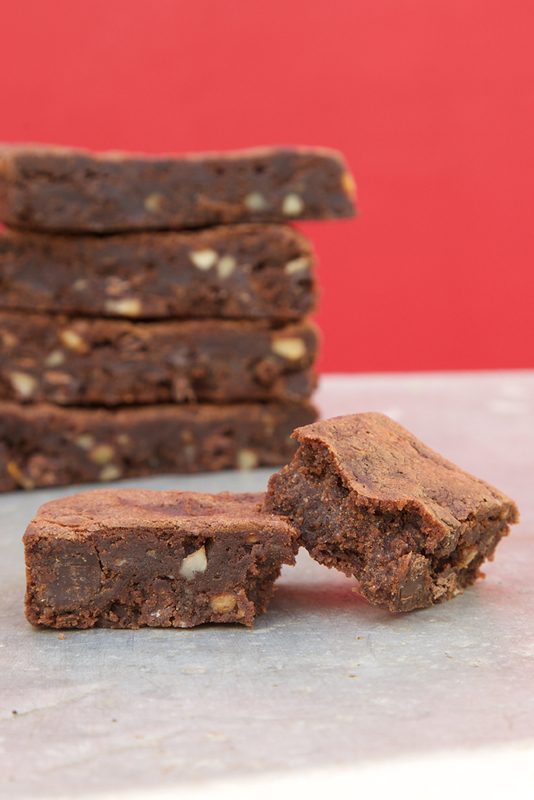 "Our gluten free in-flight meal with Thomas Cook included a Heathcliff Brownie and it was so delicious that I came back and contacted you in order to order some treats," K.B. "After having an awful morning I decided to have a cup of coffee and treated myself to your Heathcliff Brownie. OMG thank you! It was lovely!!! It has pout me in such a better mood!," G.S. "I tried one of your Heathcliff brownies and now I'm hooked! They are gorgeous!," S. E.
"They are little slices of paradise!," A.W. "Heathcliff brownie might just be the best thing I’ve ever tasted," H.W.